The world’s most popular tabletop RPG comes to the world’s most popular virtual tabletop. OVERLAND PARK, KS (July 28th, 2016) Roll20 announced today a licensing deal for their online “virtual tabletop” to distribute Dungeons & Dragons content. This marks the first licensed collaboration between these two companies, which has been a major goal for Roll20 since its launch in 2012. 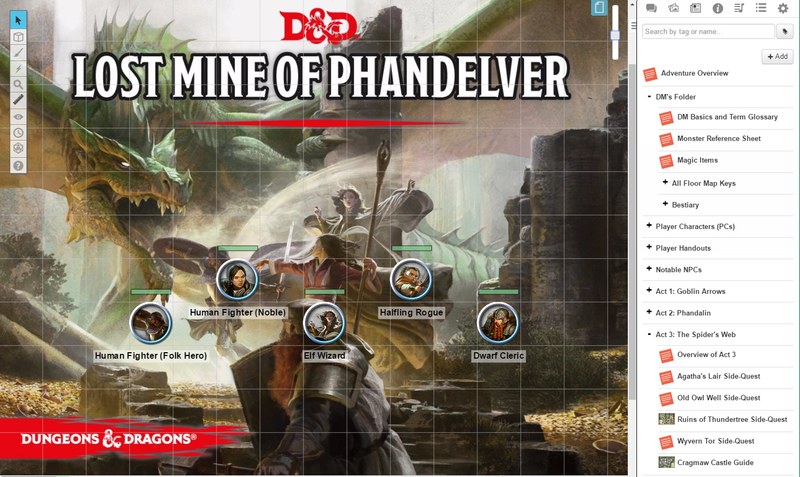 The launch is beginning with sales of the introductory adventure module Lost Mine of Phandelver, which comes with pregenerated characters, image handouts, maps, and tokens prearranged in Roll20 to help Dungeon Masters avoid lengthy setup times. Other licensed products will follow, including Dungeons & Dragon’s latest upcoming adventure storyline Storm King’s Thunder, which is available in Roll20 for preorder and launches September of 2016. Roll20 already leads the virtual tabletop category, with an overall online population of over 1.6 million users, more than 46% of which identify themselves as players of the current edition of D&D. Roll20, owned by The Orr Group LLC, began as an effort to keep developers Riley Dutton, Richard Zayas, and Nolan T. Jones in touch via long distance tabletop gaming. Since launching via Kickstarter in 2012, it has attracted over 1.6 million users as a free service, becoming the preeminent way to play tabletop roleplaying games online and developing into a staple of in-person play. The award-winning program continues to be funded by subscribers who receive features that assist advanced gameplay. Wizards of the Coast LLC, a subsidiary of Hasbro, Inc. (NASDAQ:HAS), is the leader in entertaining the lifestyle gamer. Wizards' players and fans are members of a global community bound together by their love of both digital gaming and in-­person play. The company brings to market a range of gaming experiences under powerful brand names such as MAGIC: THE GATHERING and DUNGEONS & DRAGONS. Wizards is also a publisher of fantasy series fiction with numerous New York Times best-­sellers. For more information about our world renowned brands, visit the Wizards of the Coast Web site at www.wizards.com. Glad they are expanding beyond Fantasy Grounds. "Roll20 already leads the virtual tabletop category, with an overall online population of over 1.6 million users"
I wonder how many of those 1.6m 'users' actually use Roll20 on a regular basis. And how many are account of people who signed up, looked at it once or twice, and never came back. I'm sure there is a large amount of overstatement there, but even at 10% of those numbers, it's huge. 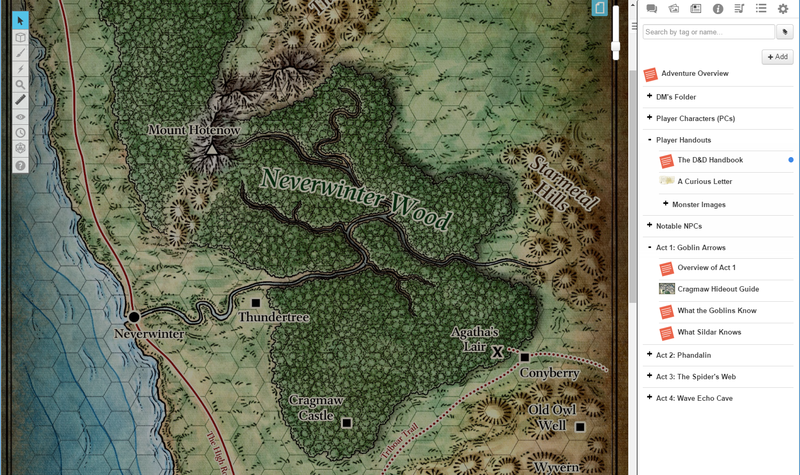 I use Roll20 a lot (I was one of the Kickstarter backers), but don't play 5e. 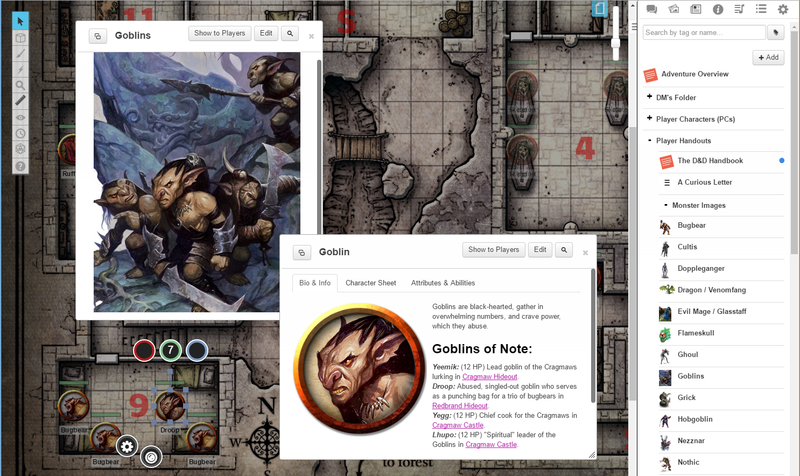 I'd be much more interested if they released some old school content in Roll20 friendly format. Would be more than happy to pay good coin for a Roll20 version of Keep on the Borderlands for example. Now we'll all have to pony up 2d6 GP just to pull up a chair. There's a cigar smoking fat guy sitting in an overstuffed leather chair in Pawtucket, RI, steepling his fingers and laughing maniacally. I'll stick with the Fantasy Grounds version I already own. I'm probably one of those counted by Roll20 if they count those who signed up to look at it free and then said "nope, not enough here." Sorry for the unkown deleted commets.